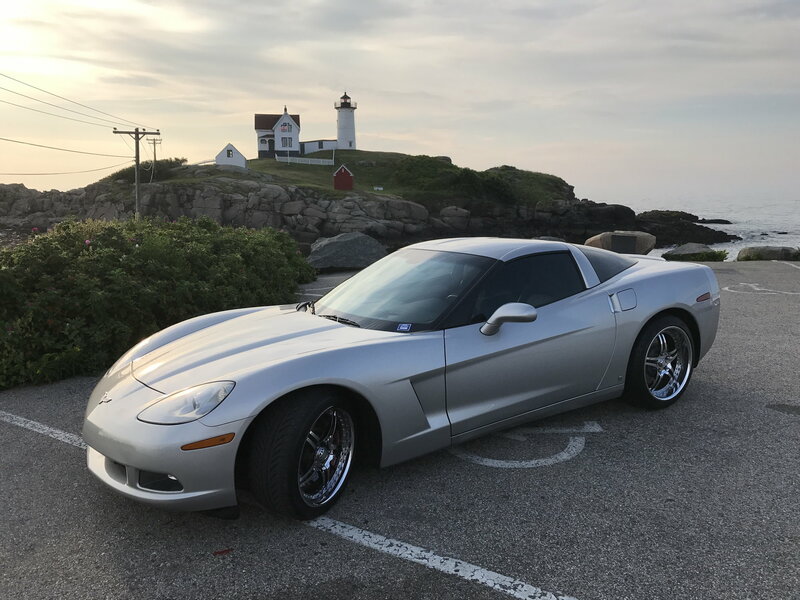 Selling my 08 Z06 3LZ. Bought from a fellow CF member in 2013. Car currently has 26k on it. Has the ZR1 Cup wheels (OEM) with brand new Pilot Super Sport tires. Heads have been done with WCCH Stage II's, all maintenance is current, every fluid just changed. All service done at Abel since I bought it. As a professional detailer, I can say this car is CLEAN. Its loaded with every option and has perfect driveability with zero problems. Exterior is a 10/10 - essentially flawless. Last July I had most of the car repainted because of rock chips. I got stuck on a road that was under construction and it took a lot of chips from that. Insurance covered it. I had the work done at the best body shop I've had experience with: Brooks Motor Cars in Oakland. They took their time and did it right. As a detailer I'm EXTREMELY picky about repainting, and they knew that and really knocked it out of the park. The paint job is exceptional and you can't tell it was ever done. The only parts not repainted are the mirrors, roof/hatch, and rear bumper. Below is the list of what they replaced. The car has ZERO rock chips. Last edited by GoFast908Z; 01-26-2018 at 05:22 PM. GLWS - Looks awesome with the machined cup wheels on a silver Z. Only problems is I saw a speck of dust on the backside of one of the front brake calipers. WOW! Very nice setup. Crazy clean. does the repaint show up on carfax as an accident? I haven't looked at the carfax. It may show something, but shouldn't be a collision as it was a comprehensive claim only. Wasn't an accident. The road was covered in rocks and I couldn't do anything but drive through it. All damage was cosmetic and been repaired. Last edited by GoFast908Z; 11-09-2017 at 02:58 PM. What kind of rocky road was that? I have had to drive some very expensive cars down dirt roads and never had an issue. Do you have pictures of the paint before hand? California road work. It' terrible out here. I avoid taking my car on the highway out here. I actually saw the car today in person. It looks brand new. Not a rock chip or smudge on it. Actually looks better than my z and it has 20k more miles. Mine doesn't have the professional detail/ceramic yet. ps. I may have to look into a new nav as I hate I can't listen to pandora from my cell phone with the 08 nav system. They were repaving a road and had not been clearing it of rocks. I do have photos, yes. I wish I had a little extra to spend. Very nice! The nav didn't affect the heads up. I don't think the 08 shows nav on the HUD? Bluetooth wasn't available till 09 I think, but this unit has bluetooth and it works great. Thank you very much! Car is still available. Its not that far... I flew up to Portland to buy the car and drove it home. Very enjoyable drive. Transportation can be arranged too.